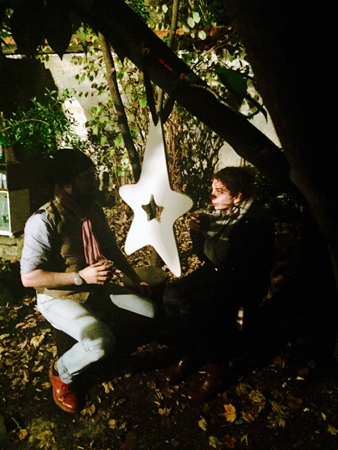 5.Dec: Yassein Mohamed, Backyard garden, Park Village, University of Sussex, Brighton, England - "Here, on this bench, stories have been weaved, books were read and love were revealed. My room window overlooks on this bench. Every day, I see individuals, couples and groups come to reclaiming this bench and give some of life and passion to this spot." 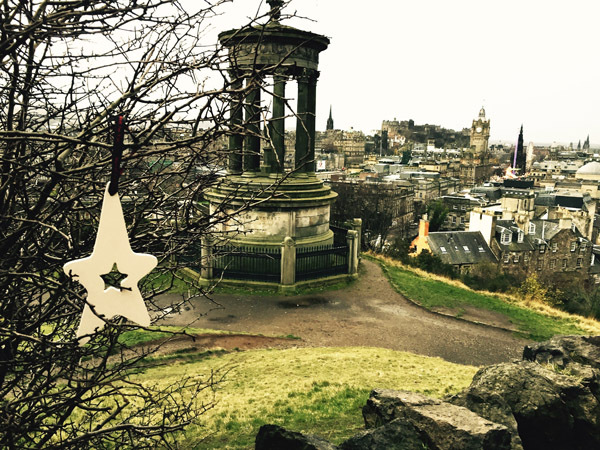 6.Dec: Omar Hosam-Aldeen, Calton Hill, Edinburgh, Scotland - "The star at my favourite place in Edinburgh. It is a place that gives me the sense of peace, reflection, satisfaction. It is a man-made place but unspoilt, and it is quiet but lively. 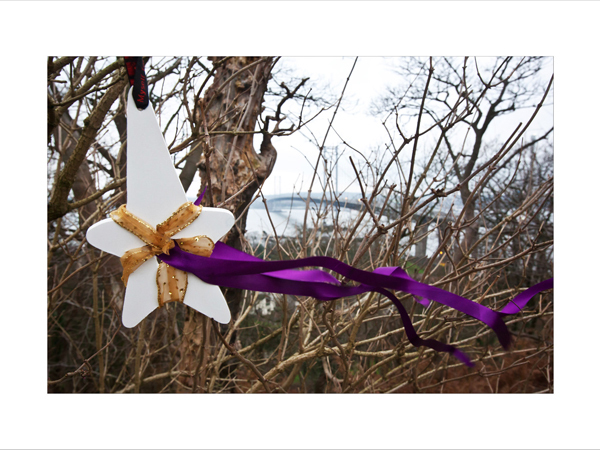 It makes me realize how wonderful the city is..."
7.Dec: Rhona Paterson, Dr Neil's Garden, Duddingston, Edinburgh - "A community garden started by local doctors in the 1960s. 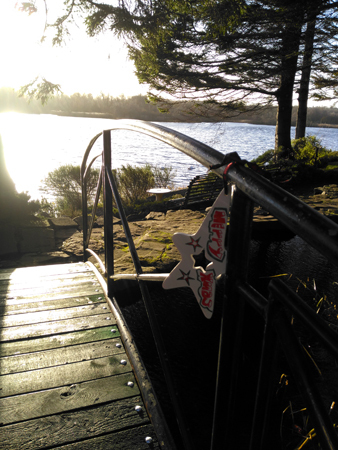 They encouraged their patients to assist in the gardens allowing them to enjoy outdoor activity on the banks of the loch. A beautiful tranquil haven in the city." 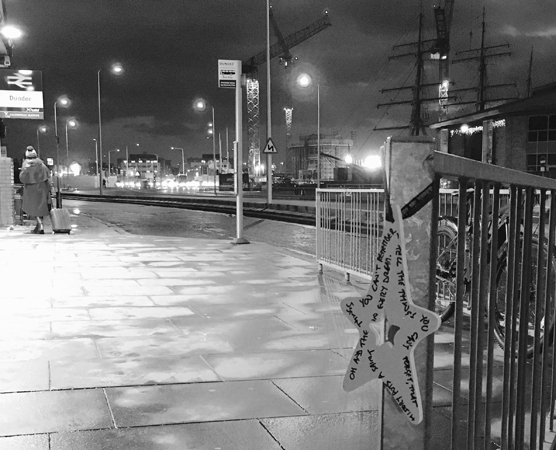 8.Dec: Cat Macaulay, Waterfront, Dundee - "The location is the waterfront at Dundee - a place going through a huge transformation. Just above the star you can see the masts of the Discovery - Captain Cook's ship - connecting this place to its past. Behind that are the cranes building the new Victoria and Albert Museum, part of a huge waterfront transformation, the embodiment of this city's dreams for the future. 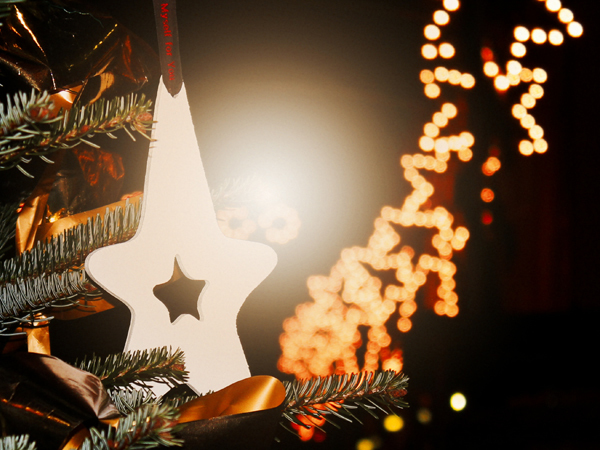 The star is decorated with the lyrics of Tom Waits' song Time. This is a place where as the song says 'the things you can't remember tell the things you can't forget that history puts a saint in every dream'. It's a place where we are reminded that change is just another way of saying life." 9.Dec: Omer Krieger, Dani's Grill, Jaffa, Israel - "It's a guy grilling meat in my neighborhood, just felt like the right place to share." 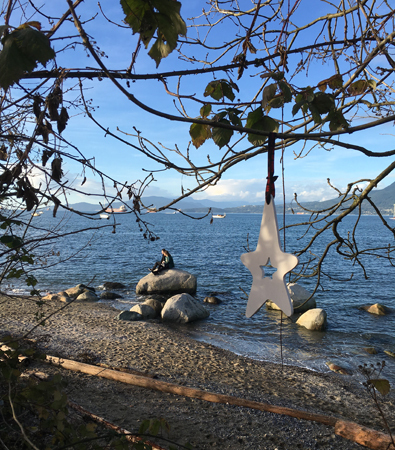 11.Dec: Genevieve Findlay, Vancouver, Canada - "This is at the tip of Kitsilano Point where I walk Scout. I frequently sit on the rock the couple are on as you can reach it from smaller rocks when the tide is high and you can be surrounded by water. I always have a wonderful feeling of wellbeing when I'm here." 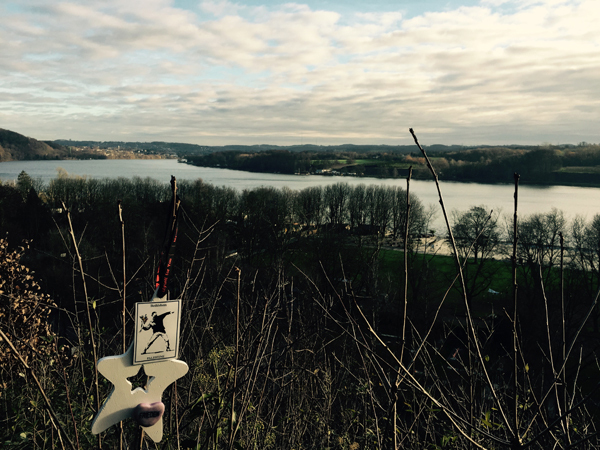 12.Dec: Olivera Dukic, Baldeneysee, Essen, Germany - "This is one of my favourite spots close to where I live in Germany. Having spend several month this year living in Israel, my star is reminding of the Palestinian people, who suffer greatly from the Israeli occupation! I wish Israel peace and Palestine justice!" 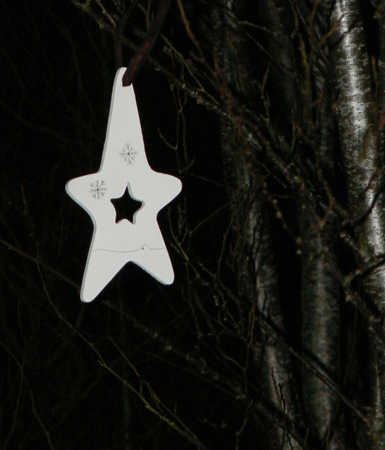 13.Dec: paper igloo architecture and design, Kippen, Scotland - "This is hanging in the Alder trees in the garden of our new passivhaus home that we are building. The trees were here before we bought the site and they are seen from the living room through a large picture window. They are a lovely reminder of the weather outside when they sway in the wind. In summer we plan to use this part of the garden for parties and are looking forward to having all of our friends and family around to celebrate our new home." 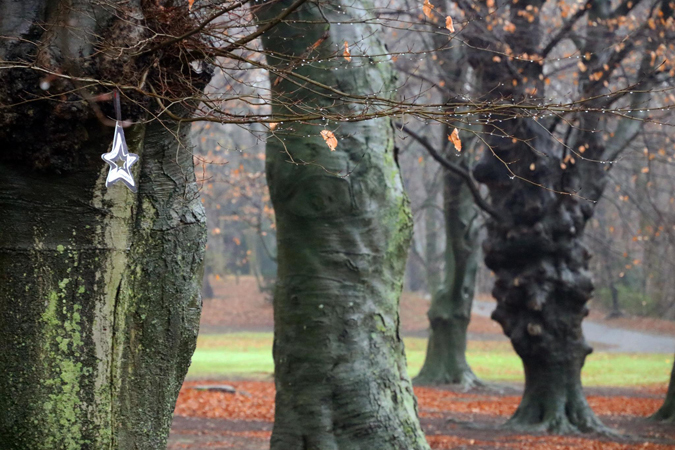 15.Dec: Kris Vanmerhaeghe, Brussels, Belgium - "These trees are part of the Josaphat Park in Brussels. The park, its fields of grass, its marvelous trees and the little Buvette Sint -Sebastiaan in the middle of the park bring many people around the neighborhood together. So many different cultures, young and old play, have a drink an relax. We live right next to the park, on the 26th floor, we watch it every morning, every evening, we cross the park twice a day. 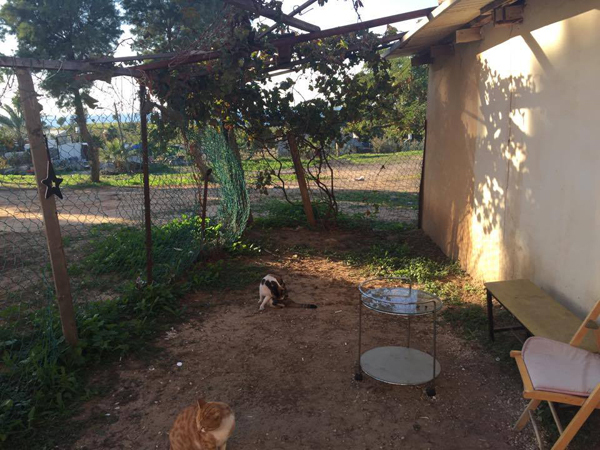 This is our garden. A garden where children make friends for life." 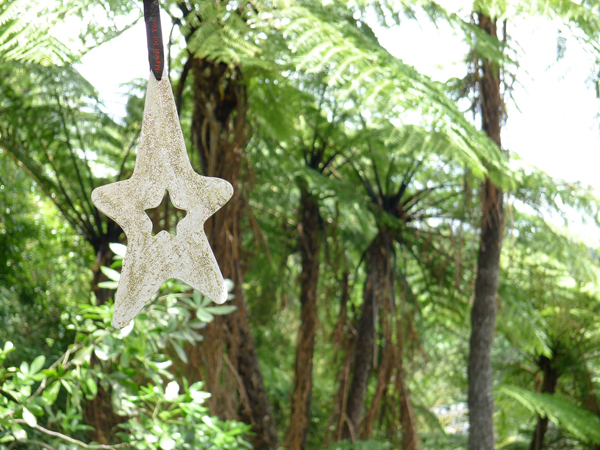 17.Dec: Ria Crawford, Ponga Tree Bush Walk, Te Puna, New Zealand - "On the first day of Christmas / My true love gave to me / A pukeko in a ponga tree / On the second day of Christmas / My true love gave to me / two kumera / And a pukeko in a ponga tree / On the third day of Christmas .... and so on, until... On the twelfth day of Christmas / My true love gave to me / Twelve piupius swinging / Eleven haka lessons / Ten juicy fish heads / Nine sacks of pipis / Eight plants of puha / Seven eels a swimming / Six pois a twirling / Five - big - fat - pigs ! / Four huhu grubs / Three flax kits / Two kumera / And a pukeko in a ponga tree! - This is a song I sang as a child at Christmas and now my girls sing it too." 18.Dec: Thomas Weingärtner, Cua Dai Beach, 6km from Hoian, Vietnam - "When too much is going on at home or feeling drained after working on the computer for too many hours, I like to drive in 8 minutes to the sea to jump in the water. This is how it was over all the years from 2002 until September 2015. It is a place that makes me happy. In this photo you see what happened during the monsoon and storm season (Oct / Nov 2015). During the two month the beach has been more or less lost. In places the waves worked like a bucket-wheel excavator and removed the sand down to a 10m depth out to the sea. 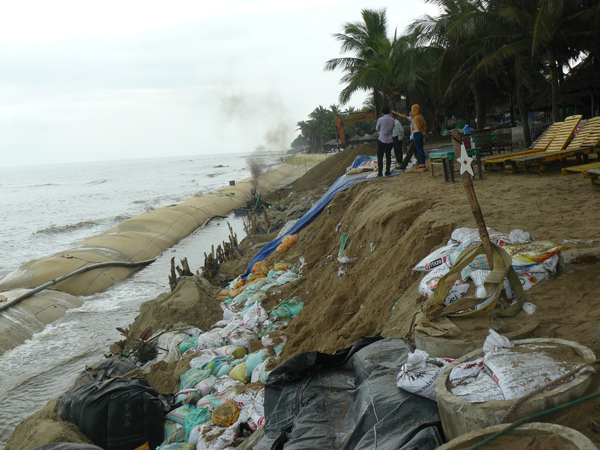 The beach is more or less gone and it is tried to rescue whats left with barriers and sandbags. I still drive out here frequently. Not for dipping in the sea but to think and reflect. The place which made you happy until now is now a place which makes you sad." 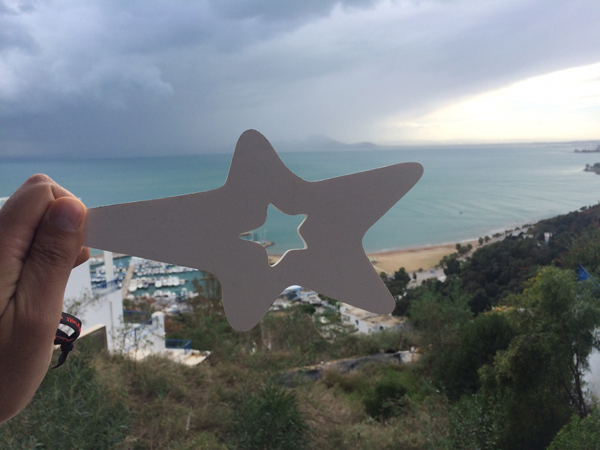 19.Dec: Naoufel Jerbi, Tunis, Tunisia - "I took the star to Sidi Bou Said, a picturesque suburb north of Tunis. Many locals and tourists climb this hill by the sea to enjoy the breathtaking view over gulf of Tunis. Unlike the mostly posh restaurants around, this view is for free." 20.Dec: Franziska Schödel, Makumira/Usa River, Arusha, Tanzania - "I hang my star in a real Tanzanian Restaurant outside the Campus of the Tumaini University Makumira. It’s on the other side of the road, opposite of the main gate. If I need a break in between my studies or from the food in the cafeteria, I come here. 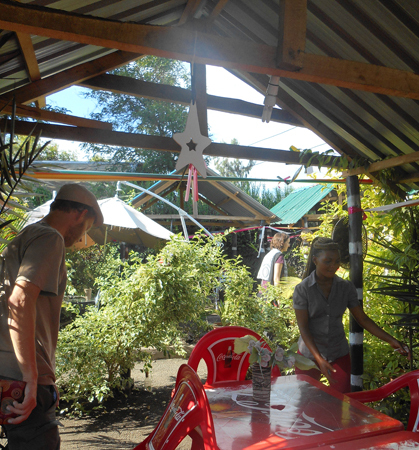 It has a nice atmosphere with all the plants and also fast service (which is not typical Tanzanian). The food is delicious and fresh. Vegetarians should try “Chipsi mayai” (Chips with eggs like a omelett) and if you like meat you should try “Chipsi kuku” (Chips with chicken)." 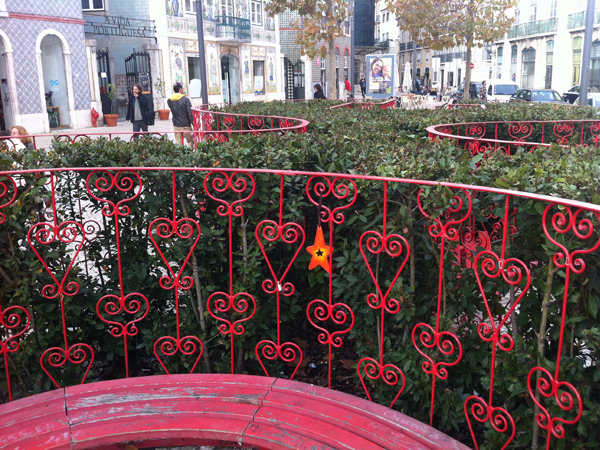 21.Dec: Rita Pacheco, Largo do Intendente, Lisboa, Portugal - "Largo do Intendente is a central square located at the heart of the city of Lisbon. This was once a place to avoid. At one point it was used as a parking lot for trucks and for prostitution. In 2011 a regeneration program was put in place. 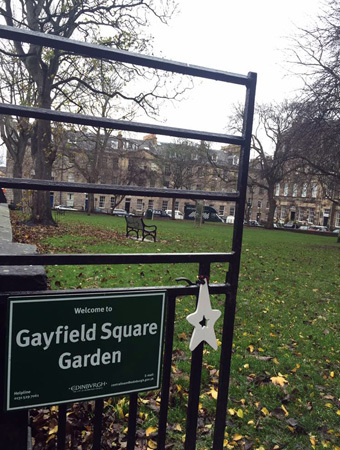 The square is now an inviting open space with benches, esplanades, clear signage and a refurbished fountain. The vitality of this historic area is not merely down to the fact that it has been refurbished. Its energy lies in the way that the space is used and interacted with. The area is a mixture of many things including: residential, commercial, cultural, recreational and artistic spaces. This wonderful blend ensures that this neighbourhood never stagnates or becomes stale. As a result, Largo do Intendente has developed into an almost living entity. The intimate walled garden at the core of the square feels like the well spring of Largo do Intendente. 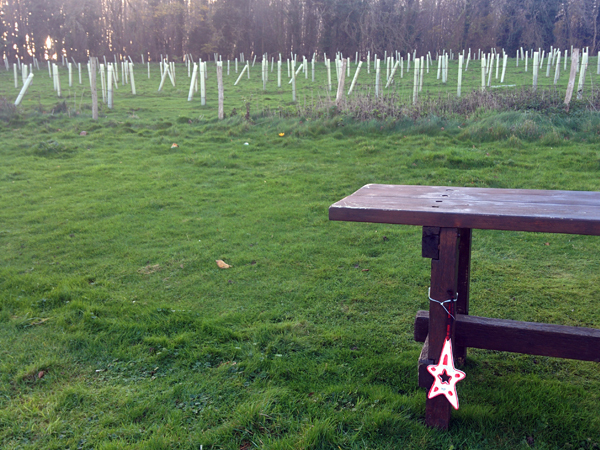 Away from the crowd this tranquil space is a place for people to meet and share stories. This warm and powerful shooting star hopefully will cultivate a path for connections to happen, in this unique and wonderful place." 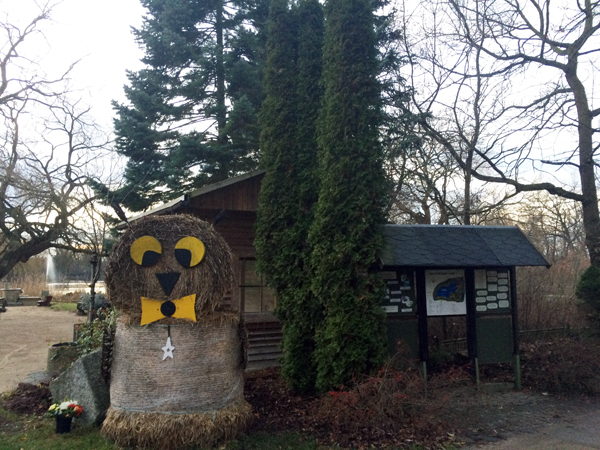 22.Dec: Emile (8 years), Wildlife Park, Greifswald, Germany - "I like the 'Tierpark' because they have animals which are not from this country and they are fascinitating. And I like the racing cars. It makes me feel happy when I go there." 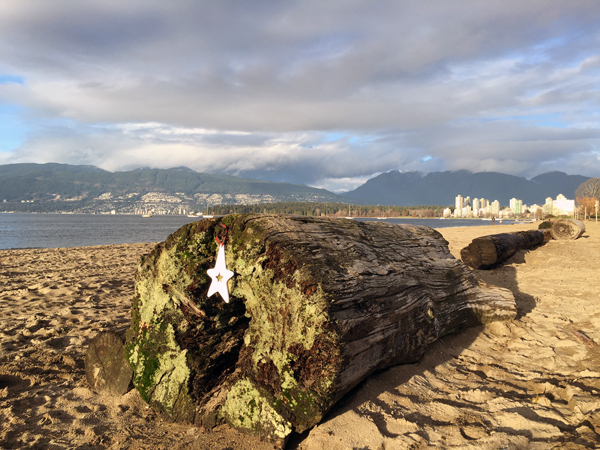 23.Dec: Thea (3 years), Local beach looking out to the Coastal Mountain Range and the edge of Down Town Vancouver, Canada - "These logs are beside the playground. You can sit on them, climb up, balance, jump down or hide. We go there to walk our dog Scout." 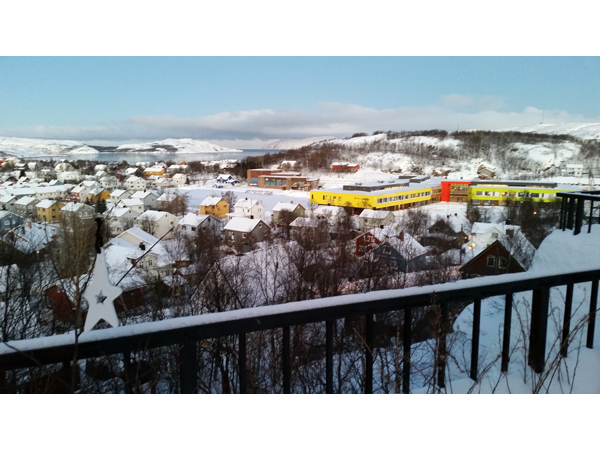 24.Dec: Kim Stenersen, Kirkenes, Norway - "Kirkenes is a small town at “the end of Norway” – up at the northernmost part of the country, by the Russian border. The picture shows a part of the city, with the fjord that leads us out to the rest of the world. The fjord is open, because of the golf-stream. This is the ending point of the famous coastal steamer “Hurtigruten”, tha”t goes up and down the Norwegian coastline, from Bergen to Kirkenes. While the boat is in Kirkenes, the inhabitans can use it as a cafê – and inside it’s a lot of art to look at. And as you can all see, we have a very bright and colorfull new school in town! 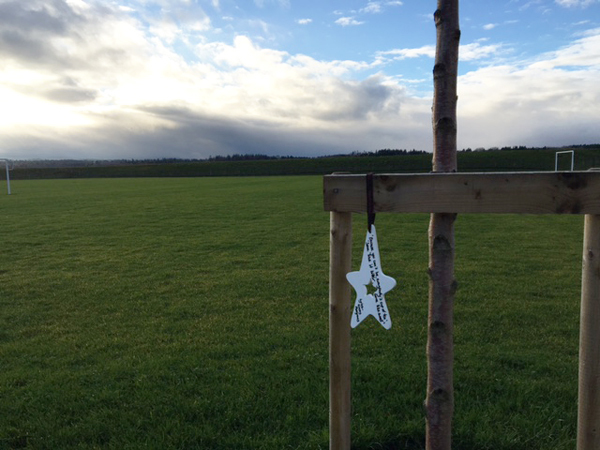 Placed where the old one was located – and where I partly grew up. Next to the school, is the swimming-pool. Because of the long darktime, with the sun totally under the horizon for two months, I always use the swimmingpool during the cold wintermonths. This one is new (about 5 years) but Kirkenes got it’s first swimmingpool the year I was born; 1960. Therefore all the kids in Kirkenes was good swimmers, during the sixties, and that was not common at this part of the country at that time! Actually it was given as a gift to the inhabitans from the big iron-mine company. People in this small city is still using the swimming pool a lot, but also the football ground outside. My mother played a lot there, she was very sporty, doing handball and athletics. I have spent parts og my childhood there, and I think my son had more hours at that football-ground than at home, for some years. The very nice location for the swimming-pool allows us to watch football-matches from the inside yacuzzi! This picture is taken at the lightest point of the day, still I had some problems with the light. The sun has already been under the horizon for almost a month, at this time. No wonder that all the chldren gets a day off from school at the time the sun returns, at the last days of January. My town is small – and you can easily reach everything in just some minutes. If it’s the cinema, the swimmingpool, the job – or the pub. 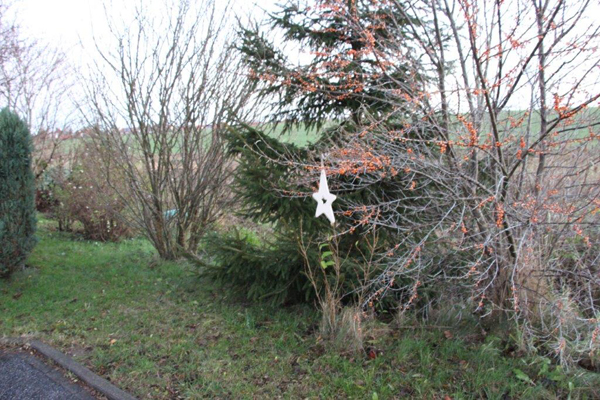 And because we also have the nature really close to us - this kind of city-life gives a lot, also peace…"
After two successful Open Space Advent Calendars we (UrbanPioneers) have invited a new round of participants! 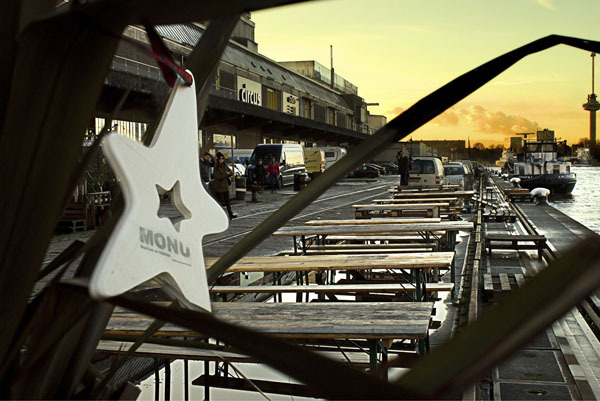 This years focus is on public spaces that makes us happy or provide comfort to us, places where we feel grounded. As always we will have contributions from all over the world including Vietnam, Tanzania, Israel, the Continent and of course from Bonnie Scotland. As our annual Advents Calendar gives us a good understanding and insight in what makes good urban spaces we have invited participants from all walks of life… professionals, artists, writers, parents and children.